The color of summer sunflowers combined with the sweetness of butterscotch—all tied together with classic black studded detailing. 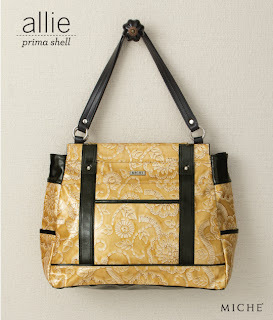 The Allie Shell for Prima Bags is a perfect addition to your accessories wardrobe that will take you through virtually all seasons in style. Floral imprint yellow patent faux leather will bring sunshine to your heart whenever you need it even on the cloudiest days!